Wayne joined the council in 2018. Wayne accepted Jesus as his Lord and Savior in 1982. Shortly after, he began Bible College. Wayne currently is involved with the Life to Life Ministry, Response Team, all types of prayer ministry, All In and Security at Abundant Life. He has been involved in leading home groups, bible studies, deliverance ministries, and discipleship. 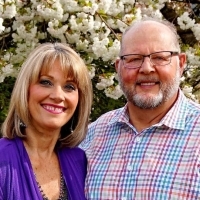 Wayne is married to his beautiful and talented wife, Donna, who leads worship and also serves in the Refresh Women’s ministry here at ALCC. We have attended Abundant Life for a little over 8 years. They have been married for 13 years and they have a blended family of 6 children and 6 grandchildren. Wayne works at the Port of Tacoma as the day shift lead crane mechanic for Washington United Terminals. Together they enjoy traveling, entertaining in their home and ministering to others.